415 Church St Apt 2013 #2013, Nashville, TN 37219 (MLS #1874021) :: Maples Realty and Auction Co.
RARE 2 Bedroom/2 Bath on 20th floor of Nashville's first luxury development, The Viridian! 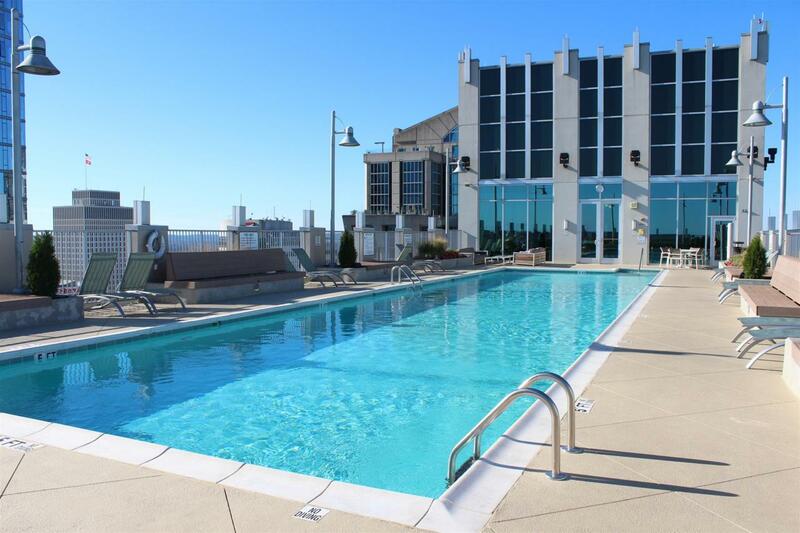 24HR-Concierge, Rooftop Pool, Fitness Center, Clubhouse w/daily coffee service & Theater Rm, HG Hill Market in Lobby. Private balcony, granite countertops, all appliances, w/d & 2 tvs stay! Floor to ceiling windows facing Nissan Stadium. 2 parking spots!